The types and function of foam glass are examined as a function of the employed foaming agents. Mixes with different granulometric composition of the batch were developed and subjected to heat-treatment. 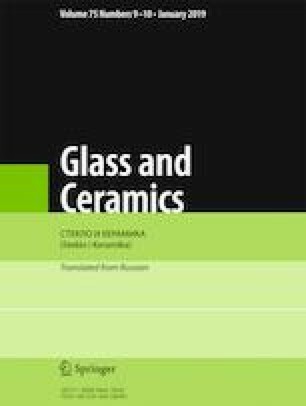 The influence of the fractional composition of the foam-glass batch on the density and volume of the foam glass and foam-glass materials was studied. Translated from Steklo i Keramika, No. 10, pp. 19 – 22, October, 2018.